Read this Pokemon GO guide to learn more about the weather system, function, boosts, spawn effects, & more. If the windy weather worsens and becomes a storm, you'll receive a warning in your game. You can bypass this warning and play as normal by pressing the ok button. If there are heavy storms & weather occurrences, Pokemon will spawn less frequently. The weather boost will also not apply during these days. As the weather changes depending on your location, so it does in Pokemon GO. 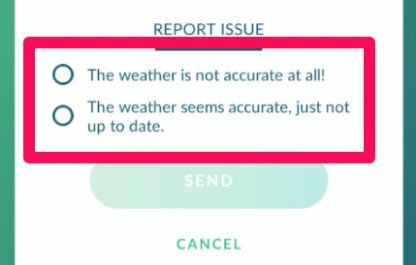 There are many various effects of the weather system in-game including Pokemon spawns, Stardust boosts, and more. 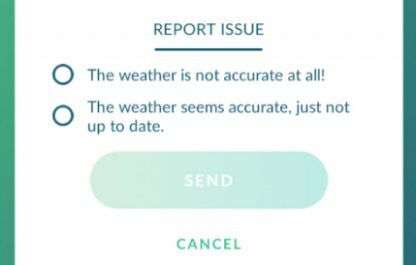 Players can send a report in-game if the weather is inaccurate for them. 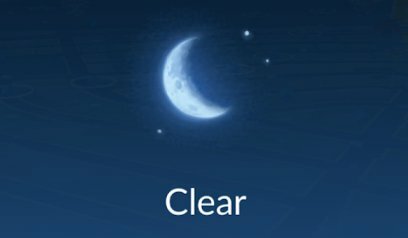 This can easily be done by pressing the weather button in the main map of Pokemon GO. The icon can be found on the upper right corner of the screen. Locate the "!" point on the upper right part of the weather confirmation screen. Select which of the two options are the problems you are currently facing then press "Send" to send the report. ▲Pokemon affected by a weather boost will be be surrounded by many circles. 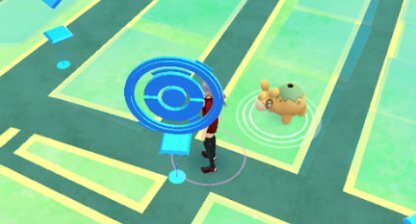 The Pokemon GO weather system affects the Type of Pokemon that spawn more frequently. For example, Sunny/Clear days spawn more Fire Types while you will encounter more Water Types when it's raining. A Pokemon that is affected by a weather boost will receive a 25% increase in power. This means their moves will be stronger & more effective in battle. When you capture a Pokemon that has a weather boost, you'll receive more Stardust! 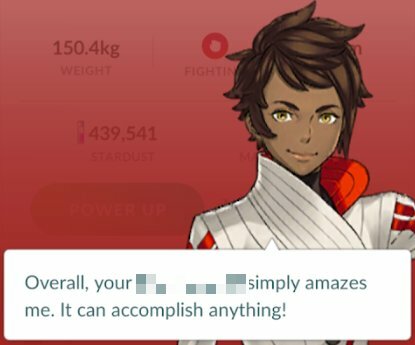 This is a great way to farm more Stardust to power up or evolve your Pokemon. Check Out Best Ways To Earn Stardust! When a Pokemon is boosted by the weather, there's a higher chance for that Pokemon to have a higher IV. If you're looking for strong Pokemon, keep watch over the weather and what Type of Pokemon it affects. Normally, Pokemon caught in the wild can have a maximum level of 30. When a Pokemon's Type is boosted by the weather, Pokemon with levels up to 35 can appear! A raid boss can be powered up by the weather when it matches the Pokemon's Type. Participating in raid battles with weather-boosted bosses are a great way to get strong Pokemon with higher CP & IV. 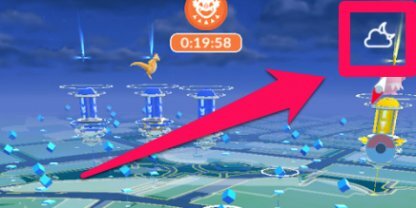 The weather in Pokemon GO is updated roughly every 60 minutes or 1 hour.